In the age of SMAC, if you are not leading on Social Media, Mobile, Analytics or Cloud, the best option is to acquire a company, especially when the incumbent leaders are tenuously supreme and category-kings. Microsoft has few other options if it wants to break into #1 position in any of those four areas. On Monday, it picked a developer ecosystem, GitHub, for $7.5 billion in an all-stock deal. Cloud: AWS (Amazon) and Microsoft (Azure). I have biased this within the consumer framework even though the distinctions between consumer and enterprise systems are now blurred. Doing so removes the challenge of comparing Amazon Alexa and IBM Watson; the latter, in my opinion, remains largely enterprise-focused. Also, while IBM may have cloud offerings, for most consumer facing entrepreneurs, working with Amazon and Microsoft (followed by Google) remains the options before IBM. So, it is irrelevant what the positions of enterprise-focused firms like Oracle and IBM are in these four areas. Simply, Microsoft does not have any solution as #1 in these new areas [certainly Microsoft Windows remains a platform king on desktop, but the global mobile shift is weakening the business]. For Microsoft, the closest is #2 on Cloud with Google coming behind ferociously. Cortana, its equivalent of Alexa, continues to lag: Alexa and Assistant are extending their leads across many metrics. So, generally, if Microsoft has to remain relevant in these areas, it has to do something radical. It cannot just rely on in-house capabilities to overcome these other companies. So, it has to acquire. This acquisition of GitHub mirrors the purchase of Nokia, a Hail Mary to see if Microsoft could boost Windows Mobile, a mobile version of Windows, designed for smartphones and tablets. Depending on how it integrates this business into its solutions, Microsoft could use GitHub to deepen its cloud offering, making it more appealing to developers since they are the people that make decisions on cloud solutions to build upon. Amazon’s primitives remain one of the key selling points for AWS; having these code sharing capabilities that GitHub brings could help Microsoft Azure battle ahead. Besides, Microsoft has Windows and could get developers to take harder look to build for Cortana in order to deepen the scale of Cortana as it takes on Alexa and Assistant. Cloud computing was nascent. Companies weren’t yet thinking about digital transformation. But software was eating the world, and it was being built on GitHub. Today Microsoft announced they are acquiring GitHub for $7.5 billion. 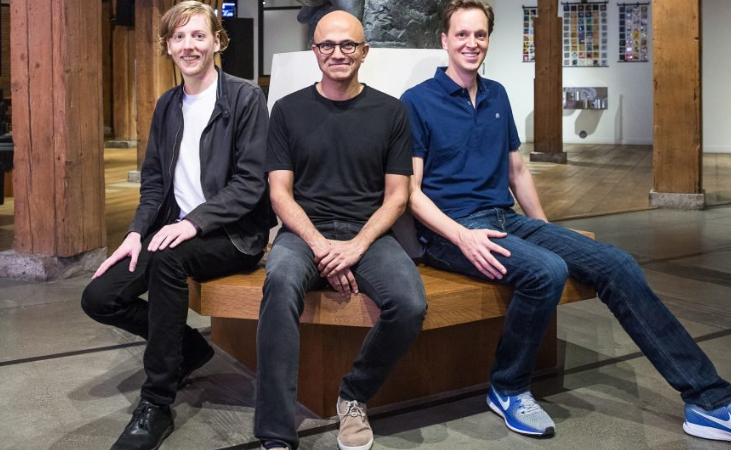 By combining the GitHub platform with Microsoft’s cloud offering, Satya Nadella and team aim to build the future of software development. GitHub brings the largest software code base in the world (over the past five years, user growth exploded to 28 million and GitHub has become the platform for all developers) to Microsoft’s Azure cloud platform while also staying open to all other clouds. The focus on the developer doesn’t change and there is a commitment to remaining an open platform.